We visit Matjiesfontein on it's own or include it with a Big 5 Tour. Matjiesfontein is the most quaint and haunted village in South Africa and one of our favourite places to visit. 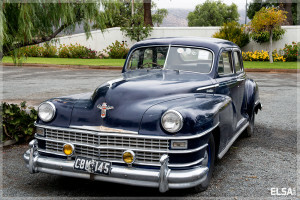 To visit Matjiesfontein is to step back in time. This tiny village, on the fringe of the Great Karoo, was founded in 1884 by James Doughlas Logan. Immerse yourself in living history, life here is a tribute to the early Karoo, the Anglo Boer War and Queen Victoria’s England. 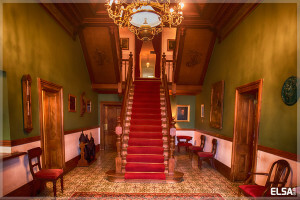 Matjiesfontein is a bastion of Victoriana. Eat, drink and dive into the Past. Experience a walking tour through town, over the railway line, and towards the Army Reboot Camp, where 10 000 soldiers and 20 000 horses camped during the Anglo Boer War. Close you eyes and you will hear them. Your guide will tell you all about the history and take you right back to the 1900's. You will also have plenty time to walk around by yourself and visit all of the interesting places, allowing you to photograph to your heart's content. This experience is not to be missed and you will not want to leave this beautiful place. Take a ride on the Red Bus - every evening at 6. We hop on for the shortest tour in the world. The bus is an old London Bus, complete with a notice that you are not allowed to spit. If you do - you will be fined. The bus is a double decker original. The driver sports a top-hat and tails. The Marie Rawden Museum is the largest privately owned museum in South Africa. It is seriously big and interesting. 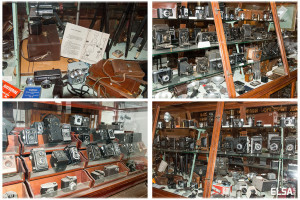 The photographic equipment collection especially, is mind boggling, not to mention the old dentist chair, barbers suite, floral lavatory and apothecary. Walk back in time. 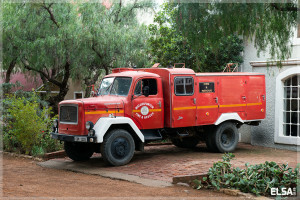 Matjiesfontein was told to equip the village with fire extinguishers. Of course that seemed like such an unnecessary expense. So they decided to rather get a fire engine. Permission was granted. Of course there are no fires. But they do use the fire engine to water all the trees in town. 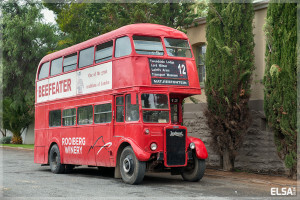 Matjiesfontein has a small Transport Museum with beautiful old cars, trains and bicycles. You can smell the vintage. Sometimes the cars are parked out front of the Lord Milner Hotel, reminds you of the hay days. A couple of hearses too. Those are truly beautiful to see and photograph. 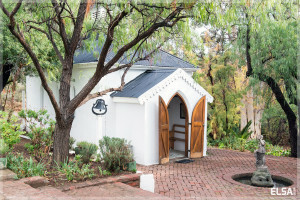 Fancy getting hitched while you are in Matjiesfontein? The village has two chapels - one only has space for a dozen or so guests - so you wouldn't have too many witnesses around! Choose between the Traveler's chapel and the Pink chapel - or just photograph them! Much MUCH safer.